Decades before Makoto (“Mako”) Fujimura became America’s most successful evangelical fine artist — and even longer before he advised Martin Scorsese on the director’s new movie, “Silence” — an unplanned turn down a darkened museum hall in Tokyo defined his artistic calling. The “trampling blocks” are pivotal in Scorsese��s new movie, “Silence.” Fujimura is credited on the film as a “special adviser” and has written a kind of companion book about Shusaku Endo, the author of the 1966 novel from which the movie is adapted. 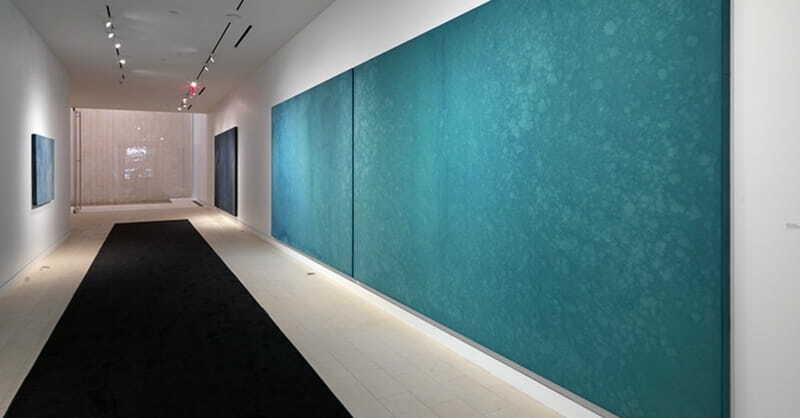 Photo: Makoto Fujimura’s "Silence and Beauty" is mineral pigments and gesso on canvas, two 7'x11' panels, 2016.